We believe the time has come for business to start thinking of people as human beings and not as resources. Moving away from maximizing profits and profitability to focus on how we can help people achieve their highest potential and purpose – which will naturally positively impact the bottom line. With this fundamental concept and using the UN Principles for Business and Human Rights as a basic standard, The B Team has launched the ‘100% Human at Work Initiative’. As part of this initiative we’ve brought together an extraordinary network of over 150 organisations around the world who have helped us to shape and identify the elements that define a 100% Human organisation: respect, equality, growth, belonging and purpose. The Network – expanding through distributed hubs and annual gatherings in the UK, US, Australia and Africa with a vision to grow to 1m companies who sign up to work towards becoming a 100% Human company and to share their experiments along the way. The Lab - will allow for clusters of organisations to partner towards a common goal. For example, the first cluster will be creating a vision and narrative for the potential of the future of work. The network and experiments will serve as a platform to ignite ideas and partnerships. The end of some of the biggest human rights issues in business – opportunties that we are exploring include: celebrating diversity; refugees and migrants & fairness in the supply chain. How is Virgin Unite involved? 100% Human at Work is one of the core initiatives of The B Team. Virgin Unite has supported the initiative by helping with resourcing the program, building the network and helping to drive and engage in thought leadership. We also work closely with the Virgin businesses to engage them with the work. Jean Oelwang, our President (and Senior Partner at The B Team) acts as the Senior Partner leading 100% Human at Work and supports coordination across the team and with external partners. We also provide a 100% Human Initiative Lead and Manager who develop the network, drive the regional network strategy, bring together the Gatherings and collate and share learnings. What has 100% human achieved so far? 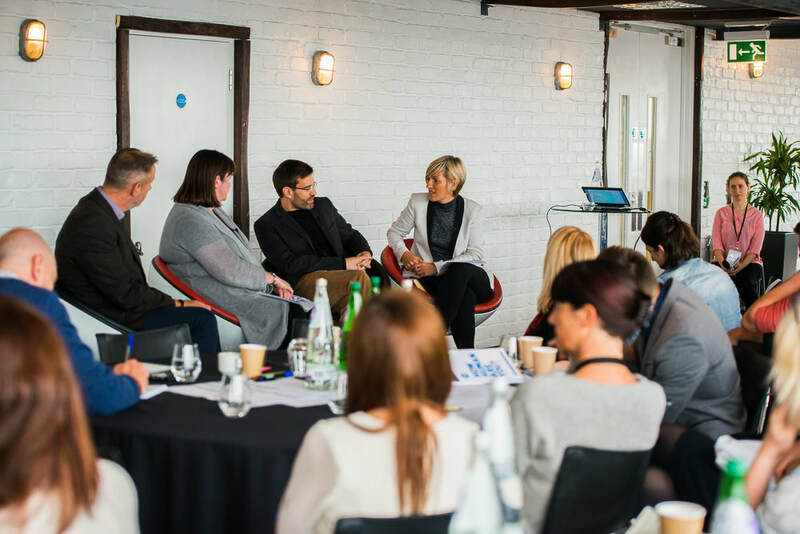 The 100% Human at Work Network has continued to grow with companies actively engaged in sharing ideas on how we make workplaces more human. We currently have over 150 members of the network and are growing every day. Network members are actively experimenting with new ways of working and testing solutions to a variety of challenges. Network members have gathered annually in London and New York and in 2017 regional hubs will gather in Australia and Africa. This community has already conducted over 200 experiments within their organisations focused on creating a 100% Human workplace and shared them. Working with partners we pulled together two diversity reports which were published online; The Diversity Paradox and Diversity: Bringing the Business Case to Life. The team’s third report highlighted ‘New Ways of Working’ and a recent report ‘Refugees & Migrants – An Opportunity for Humanity’ outlined ways for businesses to engage with this global crisis. Additional work around gender equality, LGBT rights in the workplace and the Future of Work are also ongoing. Visit The B Team website. Read more from our 100% Human at Work content series - powered by The B Team and Virgin Unite. Our purpose is to catalyse 100% Human workplaces that serve humanity and the planet.